As summer heats up, the insects start buzzing — and unfortunately, they also start stinging. Bee stings are a common occurrence during the warmer months of the year, and it is important to familiarize yourself with the normal bee sting reactions, such as a red welt, burning pain, and swelling. Learn more about what to do in the case of severe allergic reactions to bee stings. If you or someone you know experiences a severe allergic reaction to a bee sting, call 911 immediately. If not immediately treated, anaphylaxis can result in death. If you suffer from a bee sting that causes a mild reaction, you can easily treat the area at home by removing the stinger, icing the area, and applying a topical antibiotic ointment to prevent infection. If your reaction is moderate, it is best to seek medical attention in case a more severe reaction follows. 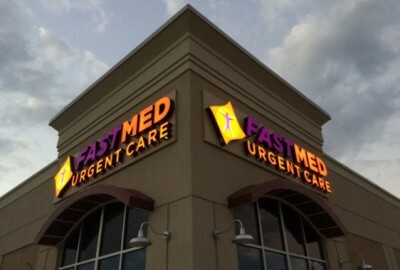 FastMed Urgent Care has more than 110 locations in NC, AZ, and TX that are open seven days a week with extended hours. Our skilled healthcare professionals are dedicated to providing all of our patients with high quality care in a caring and timely manner. Stop in to your local FastMed Urgent Care and let us help determine if your child’s bee sting reaction symptoms are normal and treat him or her accordingly. At FastMed Urgent Care, our mission is to positively impact the lives of our patients and their families.